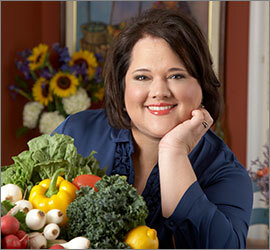 Sandra's Kitchen Studio: Welcome to the New Southern-Latino Table Dinner Party! Welcome to the first New Southern-Latino Table Dinner Party! This virtual dinner party is the first of three such events we'll be hosting to help celebrate the publication of The New Southern-Latino Table: Recipes That Bring Together the Bold and Beloved Flavors of Latin America and the American South, by Sandra A. Gutierrez. We asked nine food bloggers to cook, photograph, and blog about recipes from the book. Each of three dinner parties will feature posts from three bloggers who have prepared different dishes. Their entries---including the recipes from the book---will be crossposted in full here and at UNC Press Blog, uncpressblog.com, and we'll link to the sites where the posts originally appeared so you can go explore those sites and get to know some food bloggers that may be new to you. A few years ago, I spent a tortured afternoon trying to dazzle my husband by making a linzer torte for his birthday. My optimism dimmed as the dough got increasingly messy and melty, and I was downright angry by the time I gave up on creating its classic lattice lid. While he dutifully ate it, I decided that day that there are some things that just aren't worth making at home. At least by me in my home. Things that fall in this category often aren't terribly complex, but I don't lose sleep over investing my trust, my dollars and the ease of not messing my kitchen to those who have a demonstrated knack for making things I like to have brought to me on a plate I don't have to wash.
Chicken enchiladas used to fall into this category. I never imagined them to be especially difficult to prepare -- and now that I've done it, I can vouch that it's really pretty simple. Perhaps I was intimidated by all that cheese -- which, really, isn't that much per enchilada. It could have been any number of excuses, but they're all blown now that I made and we all thoroughly enjoyed Sandra Gutierrez's Chicken Enchiladas with Tomatillo Sauce from her new book, The New Southern-Latino Table (University of North Carolina Press). I was fortunate to be among a group of bloggers invited to preview and write about her new book as part of the “Southern-Latino Dinner Party.” While I made dinner, others made appetizers and desserts. You can find all of the special event recipes – today, next Monday and Sept. 26 – at http://sandraskitchenstudio.com/ and http://uncpressblog.com/. The ingredients for these tasty enchiladas are easy to gather and the recipe is simple to follow. My only quibble is that, when a recipe starts by telling me to preheat my oven, I think it's reasonable to assume that dinner is soon to follow. In fact, long after the oven was cranked and ready, I was still simmering tomatillos and hadn't rolled a single chicken-filled tortilla. In the interest of time, I opted for a few shortcuts, such as zapping the tomatillo sauce with my immersion blender instead of waiting for it to cool and pouring it into a standard blender. Next time I'll even make this ahead. I also used a reliably tasty roasted chicken from my neighborhood market, which yielded the needed six cups of shredded chicken. Regrettably, I did make one tweak that I would recommend against. We're weenies when it comes to chilies, but the otherwise mild flavors of this dish can stand up to the four serranos and one jalapeño Sandra includes. We cut back and the result, while delicious, lacked zip. Be bold and trust her list. While you're at it, have a few extra tortillas on hand, too. I measured my filling to make sure it made a dozen enchiladas but actually wound up with three bonus rolls. I baked them in a small dish with sauce and cheese, then popped them in the freezer to enjoy another day. We barely made it through the full batch before I retrieved the frozen ones. Trust me, you won't be able to resist them, either. I made another of Sandra's recipes, Green Mango Salad with Pepitas, to serve with the enchiladas but unfortunately cannot quote recipe. It's an even tastier version of what she made when I first met her at a class last summer and blogged about it here. If the enchiladas did not provide sufficient temptation to get her book, this beautiful salad should seal the deal. So I spent an afternoon perfuming my house with the smells of allspice, figs, and rum. Not a bad pursuit. This recipe completes a wonderful virtual meal. Visit my fellow bloggers Tara Mataraza Desmond (Crumbs on My Keyboard) for starters with Peach Salsa, and Jill Warren Lucas (Eating My Words) for the main Chicken Enchiladas with Tomatillo Sauce. So brew a strong cup of coffee, and let's finish this meal. Though I'm notorious for meddling with recipes, to the point that the Eldest Practical Cook Junior noted what a difference it was that I was following one exactly, I pretty much stuck to the letter of the law here. Except (sorry, couldn't help it) that I don't own a 10-inch springform, so I baked in a 9-inch, which needed a little more time at a little lower heat to finish. Also, I toasted the pecans briefly in the microwave before chopping to heighten their flavor. Though the recipe implies stand mixer, I successfully used my trusty hand-held 3-speed electric mixer. Remove from the oven and cool on a wire rack for 10 minutes; remove the sides of the pan and cool completely. Invert the cake to remove the bottom of the pan and the parchment and transfer it, right side up, onto a platter; sprinkle liberally with confectioners' sugar. Don't let the fact that this includes a secondary recipe throw you. You can substitute store-bought, but if you've got access to figs, it would behoove you to preserve them, and the preserves are the simplest of the two recipes. Overall, I enjoyed the cake immensely. It has a strong rum flavor, so be forewarned if that's not your thing.